In 1962, Ernest Annis of Bremen published a history of his Huff family tree, going back to Johann Phillip “John” Huff (1791-1872) and Maria Catherina “Catherine” Lahm (1800-1874), who immigrated to the US from Germany around 1835. This is freely available online. The front matter was a memoir by Roscoe Huff of Goshen, written in 1931. Most of that material is published here, with compliments to the family. John Phillip and his wife Catherine Huff, (née Lahm), as whose descendants we meet in reunion, were both born in Reinbier, Germany [probably Rheinbaiern, AKA Circle of the Rhine], where also were born all of the sons and at least one of the daughters, who were the fathers and mothers and relatives far removed from the younger ones of this association. From the old family Bible, it is learned that John Phillip Huff was born September 1, 1792 [or 1791, based on the gravestone inscription] and died at the age of 80 years, 6 months and 11 days, on March 11, 1872. Catherine, wife of John Phillip, was born May 29, 1800 and died August 6, 1874, aged 74 years, 2 months and 8 days. Both are buried in the Huff cemetery northwest of Bremen on the Turkey Creek Road of German Township of Marshall County where also are buried other ancestors and relatives. Click on any image to view a larger version. Depending on your display, you may need to click again to see a full-size version. On arriving in America from Germany, the family settled in Tuscarawas County, Ohio, near a village or settlement as it was then, which was called Strasburg. 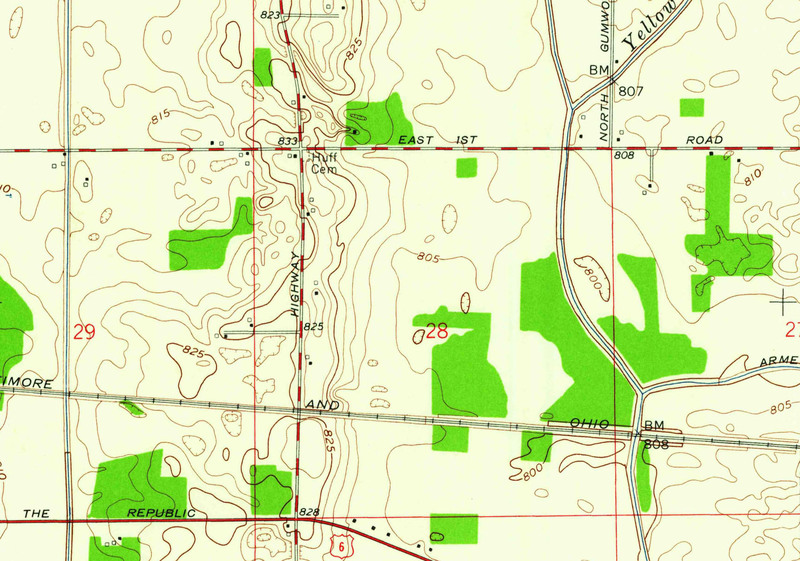 This settlement was in Tuscarawas County, but the Huffs lived in the country close to the county line between Tuscarawas and Holmes County and their post office address in those early days was Winesburg which was a village close to the county line of the two counties and to which village any mail was delivered by riders on horseback, which was the usual method of transportation in those days before the time of railways. Historical accounts or legends in the family tell us that one of the important reasons for our ancestors’ leaving Germany, was to avoid having the oldest son, whose name was Phillip, impressed into the German army, for at the time of their leaving their native country, Phillip had reached the age of 14 and at that time Germany’s young men were impressed into the army for a five years’ training period upon their reaching the age of 15. One cannot but be impressed with the sincerity and earnestness of these pioneer Huffs for some of the third generation living today are familiar with the story of their trip across the ocean from Germany to America. 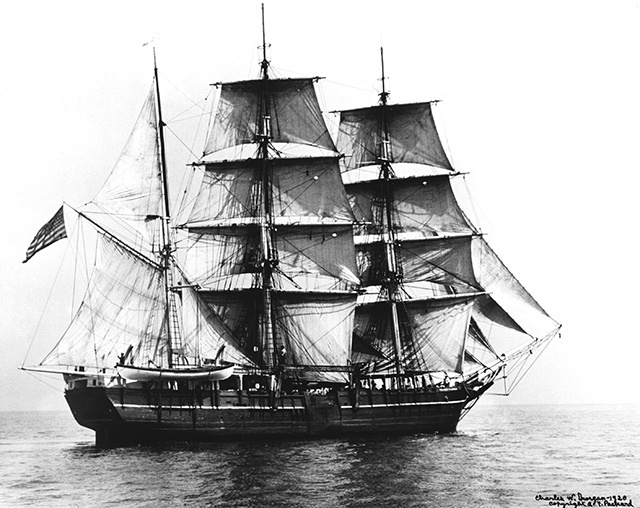 The trip was made in a sailing vessel and required 66 days for passage because of storms and ill winds experienced. The length of time required in this troublous passage was such that the water casks of the vessels became almost empty and even drinking water was rationed to occasional sips. Of course there was none at all for bathing, washing clothes or for any purpose whatever except scant cooking and rationed drinking and with the old-fashioned sailing vessel where hatches were closed to keep the passengers from on deck, the conditions under which the trip was made must have been beyond imagination. The ocean trip almost resulted disastrously for Carolina, the daughter who came from Germany, for at landing, she somehow was thrown overboard and nearly drowned, but was rescued and later became the ancestor to some of those who are with us. It was the original intention of John Phillip and Catherine with their family, to reach Wisconsin where other neighbors from their home in Germany had found haven. Due to insufficient funds, they were not able to get further west than Tuscarawas County, Ohio, where other German friends were located. They took up farming as was quite natural, even though John Phillip was a butcher by trade, but he occasionally occupied himself with this vocation during the time when the bitter winds of winter brought about the usual period when farming was impossible and the butchered meat would keep. To the union of John Phillip and Catherine there were born fourteen children, of whom four passed on in early life. The records of these births are in the family Bible and elsewhere and it is hoped that the near future will make possible the recording not only of their birth dates, but complete histories of their lives and descendants so far as can be learned. Of the seven sons and three daughters who grew to manhood and womanhood, the eldest was Phillip, with Charles the second son, William the third, Jacob the fourth, Solomon the fifth and with Noah, Francis, Caroline, Margaret and Louise born later. Perhaps because Phillip was the eldest son, possibly because he was the first to leave the new home in Ohio, and perhaps because of his having been my own grandfather, this particular account may mention his name and tell of his activities over the others. Phillip (1820-1876) early married a neighbor girl whose name was Lydia Keyser (1829-1901), in Ohio. He became a real pioneer and not long after his marriage, conceived the idea that fortune was further west than Ohio. At any rate, he left the Ohio home, traveling west on horseback to seek a location where fortune would favor. The Ohio homestead was located amid the small hills and valleys of that region and farming was difficult, with practically no other way of making a living. As he moved westward he heard of the rich tracts of forests, high and low lands of Indiana and gradually and finally made his way to a small settlement in Northern Indiana called Mishawaka, where there was a grist mill and smelter, or iron foundry, located, which two industries set up that settlement as a very important one of that day. In Mishawaka he heard of a place which was called, “The Ridge” [Huff’s Hill] lying south of Mishawaka 14 miles, “The Ridge” being simply some high ground covered with forests and surrounded with marshes where stagnant waters stood over hundreds of acres and which area was then and has since been known as “the big marsh” even though the forests have all been cleared and the waters drained off, leaving it one of the most fertile spots in our state. 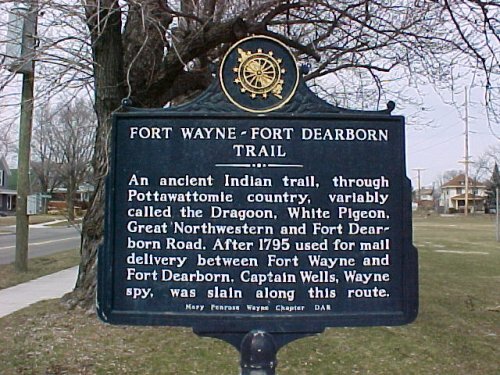 The only road through the country at that time of any consequence was the old Anthony Wayne trail, running from Fort Wayne in Indiana to Chicago, which little city had shortly before been called Fort Dearborn. After following Indian and wild animal trails to reach the spot called “The Ridge”, Phillip decided to stop in Indiana and hew out a home rather than go further west and north to Wisconsin, which was vaguely his idea on leaving home. There were days of barter and trade and Phillip finally traded his black riding horse, saddle, and bridle with a small monetary consideration, for 80 acres located on “The Ridge” receiving the original patent for the land from the government and signed by President Franklin Pierce. We mention these events rather prosaically and incidentally, but one sometimes wonders with what mental attitude some of the descendants of those pioneers would anticipate a stroll of three hundred miles through unsettled countries where bear, deer and Indians were plentiful and one’s only means of existence was what he might procure for himself from the wild country through which he passed, following Indian and wild animal trails when they were available and perhaps at times cutting a way through the brush and woods as they did on returning to Indiana with a couple old-fashioned wagons drawn by oxen. In our fast moving civilization of today, where many consider a walk of a mile to be a rather strenuous trip, one begins to realize and appreciate many things done by our ancestors, who considered them routine in the matter of duty, and actually knew of nothing better. Many tales are told of that trek from Holmes County, Ohio, to Northern Indiana, for it was made in the fall when the rainy season had set in and the roads and trails which were barely passable at their best, had become rivers and seas of mud, quicksand, and quagmire. I remember a tale told by one of the original sons who was of the caravan but was a very young man at the time. He related to us who were an open-mouthed group of youngsters around him, at the time, that on the trip one of the “pilgrims” who had joined the caravan along the way, accidentally stepped from the trail on to what he thought was a strip of grass, but it being quite dark, he had mistaken what he thought was grass and stepped into a pool of stagnant water covered with a layer of slime and vegetation, and nearly drowned. On being rescued, he attempted suicide by hanging himself to a tree in the woods, because he was so thoroughly discouraged for all had traveled days and days with no cessation of rain and no high ground which was dry enough to build fires upon. Some of these events would be comedy of the highest type had they not been really tragedy for the pioneers who were the principles of those events. 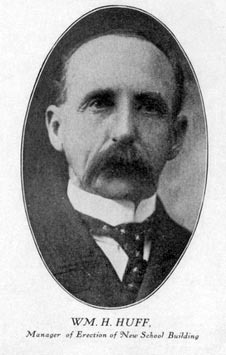 John P. Huff, the father of this writer, was just six weeks old when the caravan left Ohio. 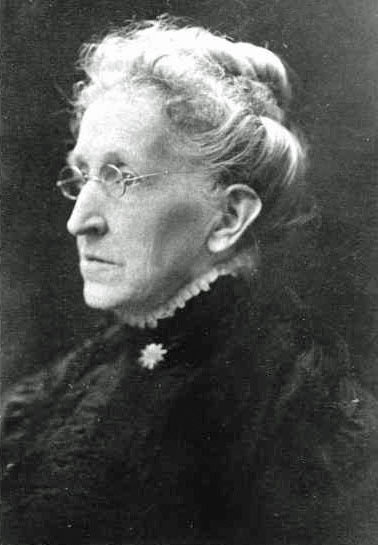 Grandmother Lydia Huff, wife of the explorer Phillip, carried the six weeks old babe in her arms almost continuously during the entire trip which took more than six weeks for the approximate three hundred miles. The plodding oxen were slow and probably no horses could possibly have taken the caravan through the seas of mud encountered on the trip, for those who were riding horses used the oxen many times to pull the horses from the quagmires and quicksands into which they frequently sank. 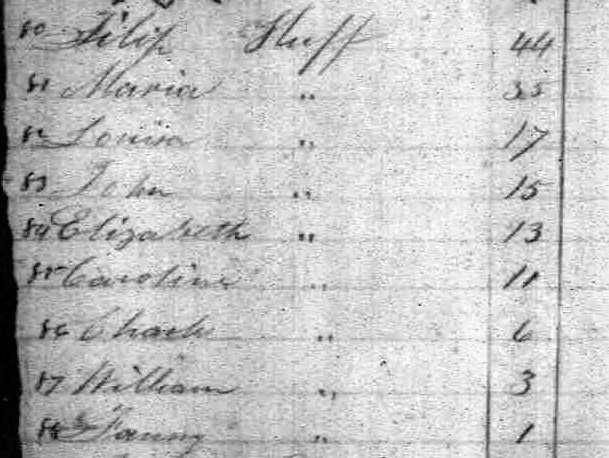 In the caravan were Keysers, Balsleys, Swanks and others who were moving westward and whose names are today very familiar in Marshall County, and while we have no records of their names there were likely those in the caravan who continued west toward other new countries. Beyond the barest necessities, there were but few things to transport for in those days each family or group carried its own tools and equipment and made furniture and other necessary things on the spot as they were required. We older ones of the fourth generation and the remaining few of the third generation, are familiar with the old handmade spinning wheel with which women made the yarns and the looms on which the cloth was woven for the clothing worn by those pioneers. They raised the flax and hemp from which course linens were made and raised and sheared the sheep from which the woolen clothing was derived. They did their own dyeing of the cloths and twisted the threads which joined the seams. The work of the men was just as primitive. From the hides of animals killed and dressed by themselves, the men built bellows with which to heat the metals which were fabricated into various tools, implements and equipment. Every man was a carpenter and builder and built his home complete together with furniture of any sort that was used. While clearing the woods and preparing for crops, they lived on what could be killed in the woods or gathered wild from the country. Today we pay fabulous prices to secure as luxuries some of those things which were regarded as hard-won necessities by our ancestors. Matches were unknown, while steel, flint and tinder was a part of the equipment of every household and man of the country, still iron pots of live coals were frequently secured from the neighbor when inattention or misfortune had permitted the fires in the house to die completely out and the women folks were not adept enough to use the steel and flint. In my own boyhood days, we had nothing but the old-fashioned sulphur matches and how well I remember great-grandmother Keyser sitting behind grandmother Lydia’s cook stove smoking her pipe after lighting it with quills or splinters ignited at the open hearth stove, for she thought the sulphur matches were direct implements of the devil, for the belief and superstitions of that day introduced sulphur and its smell as part of the activities of the old gentleman with horns. 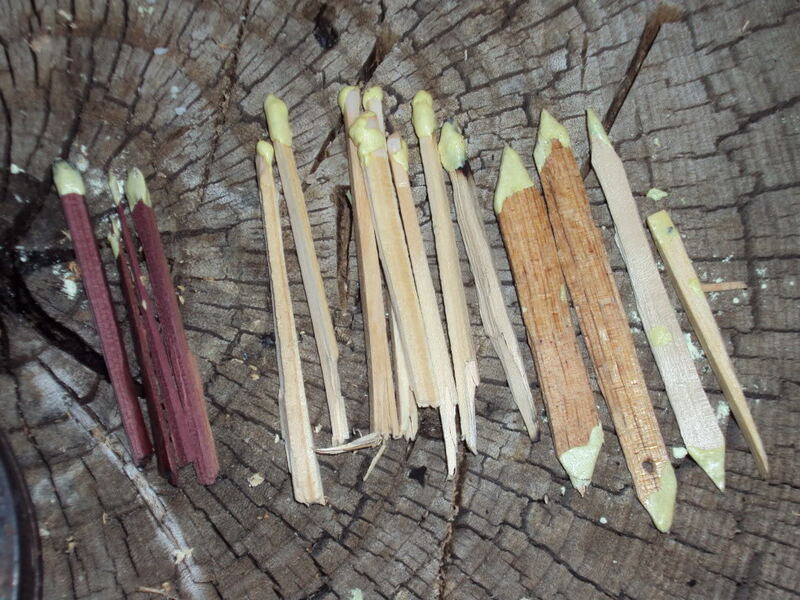 Sulfur matches were small sticks of wood dipped in sulfur. They had to be lit from an ember. Indians were one of the problems and I well remember Grandmother Huff telling of the different adventures with them, for while they were then universally peaceful, they were continuous thieves and beggars and would walk into a home and help themselves to anything they might fancy. Phillip and Lydia set about building themselves a cabin immediately upon their arrival at the old homestead of eighty acres, for with winter but a few short weeks in the offing, it was necessary that they furnish shelter for themselves at once. Tribulations of that first winter were many and great but space and time preclude a recital of them here. Even so, the new country must have looked good to them, for as reports passed back and forth from the settlers in Indiana to the relatives left in Ohio, others of the Huff family, the sons and daughters of John Phillip and Catherine, became convinced that Indiana would be good to them and gradually the entire family except two daughters moved from Ohio to several parts of Marshall county. In 1851, John Phillip and Catherine, the father and mother, came to Indiana with the remaining members of their family who had not yet arrived, and made their home with Phillip and Lydia. The trading center for that neighborhood was Mishawaka, though there was a little village called Clayton which was the first town site located in German Township, to which the Huff family occasionally went for trading. This village was located about a mile [probably actually three miles] east of the present town of Bremen on what is now I believe the William Fries farm [probably William H Fries (1880-1940)]. It was laid out and plotted by Lathrop M. Taylor (1805-1892) [a fur trader who helped found South Bend and became a civil servant] and Henry Augustine [probably War of 1812 veteran Henry Augustine (1796-1865)] of South Bend, but it never grew to anything but a settlement of a few houses on a high spot pretty much surrounded by swamps and later on was completely abandoned and destroyed. The town of Bremen was platted in October 1851, shortly after the arrival of the older Huffs. The original town was plotted and laid out by George Beyler and contained 48 lots, this being a parcel of ground obtained by him, by direct government patent. The village of Bremen prospered and soon became the trading point for the surrounding territory. Some of the Huffs, sons of John Phillip and Catherine, became imbued with the idea of seeking their fortunes further west, among them being Francis [(1835-1860)], who started for the California gold fields in 1849 and only lately have we records that he sickened and died on the Old Oregon Trail toward the west and was buried by the road side near Hastings, Nebraska, where a memorial stone erected by the Nebraska Historical Society now marks his grave [information not available]. 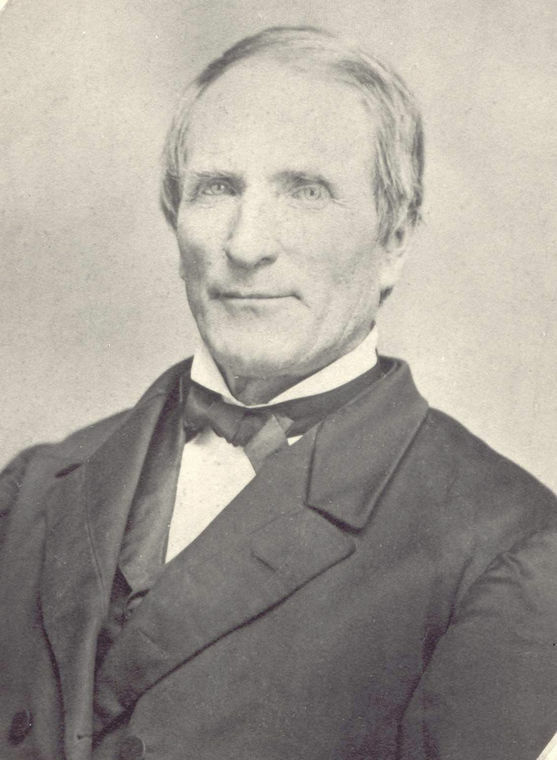 He started west with one of the Balsleys as a companion, going first to Missouri to visit his older brother, Charles Huff [(1829-1900)], for a time and thence leaving for California by the way of the Historical Oregon Trail as mentioned above. 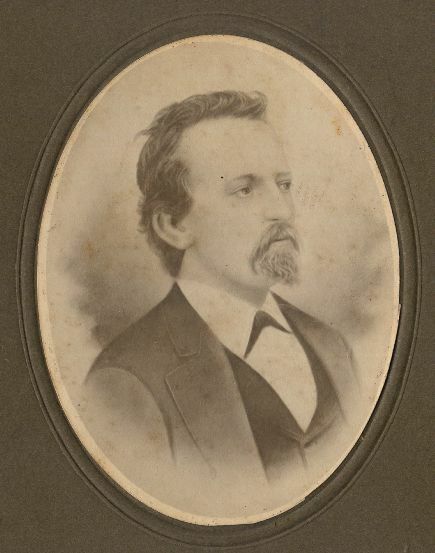 Noah Huff [(1842-1873)] moved to Missouri, with his older brother Charles, from which place he left for farther west and legend has it that he was drowned in the Pony Range of mountains in Missouri. 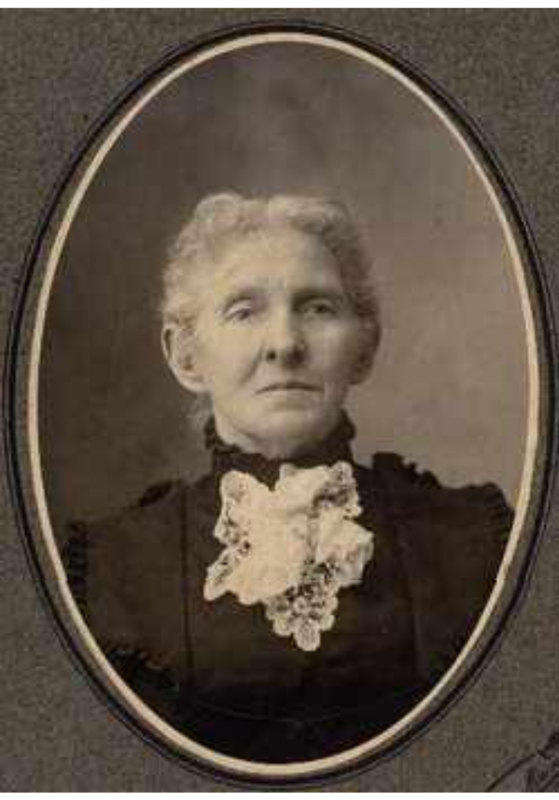 Caroline Huff [(1824-1900)], a daughter, had married John Feikert [(1820-1894)] and remained in Ohio. John and Caroline Feikert lived in the old Ohio homestead near Winesburg where fourteen children were born to them of whom ten survived but of whom today there remains but one living child, Adam J. Feikert, of Wooster, Ohio. 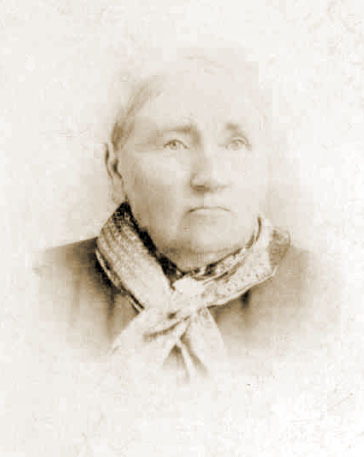 Another daughter Margaret [(1822-1890)], married William Feikert [records suggest Charles C Feikert], a distant relative of John, then moving to Indiana and settling on a farm about a mile north of what is now Argos. 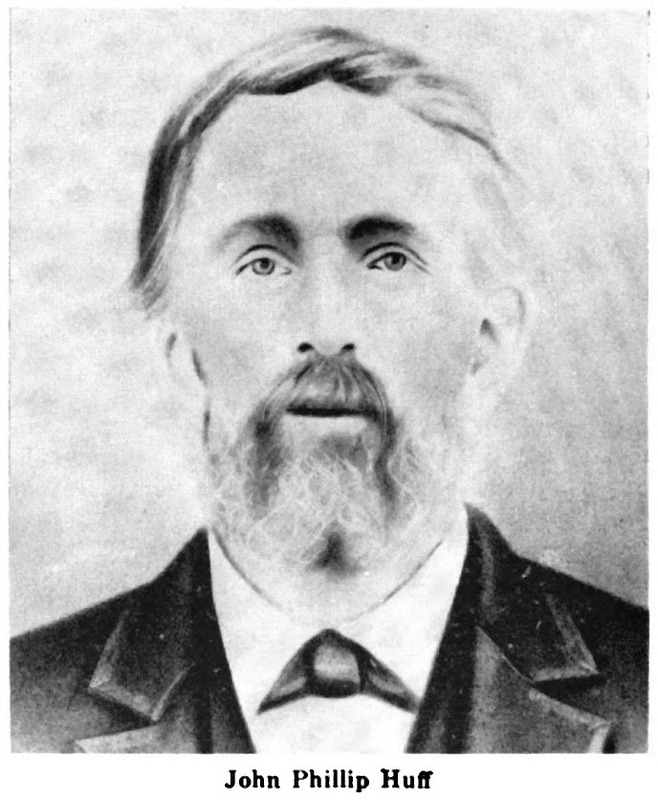 Jacob Huff [(1837-1900)] married in Indiana, lived for a time in Logansport and died an accidental death by drowning in the Arkansas River. 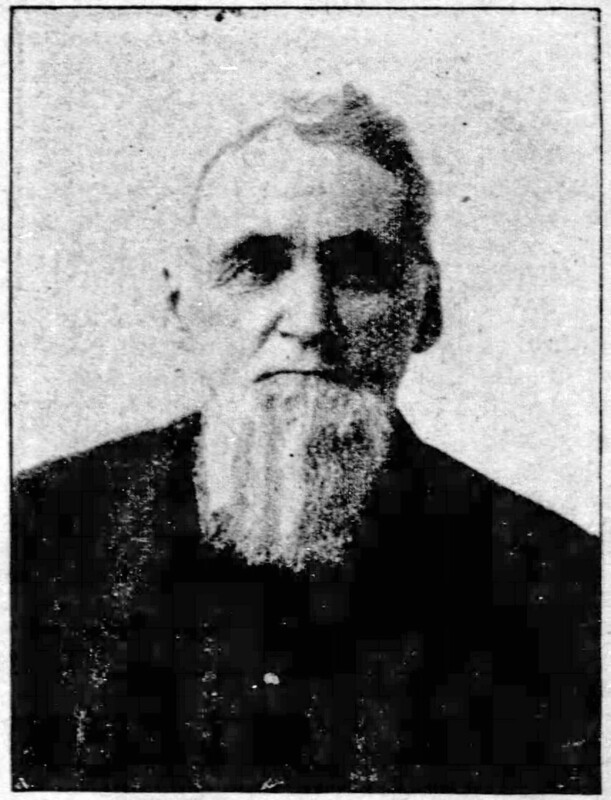 Solomon [(1844-1902) died in Texas] and Charles Huff [(1829-1900)], both married in Indiana and after prospecting over a considerable territory, settled down and lived the greatest part of their lives in or near Argos. 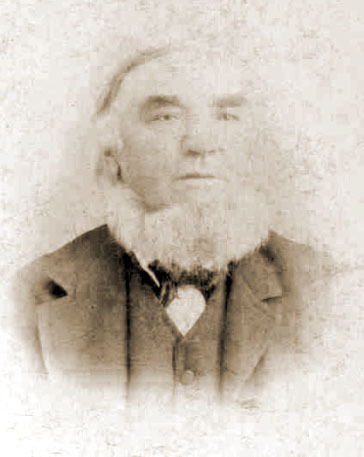 William Huff [(1832-1905)] married in Indiana, later moving to Bremen where he became a farmer and in later life, a banker. The young daughter Louise [(1818-1887)] married Phillip Fries [Jacob Phillip Fries (1812-1898)], later moving to Bremen where they lived for many years. Some of the resulting descendants of those sons and daughters are yet with us and if they but would, it is certain that the older ones whose numbers are being thinned by time, could entertain the younger generation almost indefinitely with the stories and tales they could tell in connection with their fathers and grandfathers making money in what was in actuality a wilderness occupied in many places by Indians and the wild animals of a hundred years ago. Many of us remember the lighting of homes with tallow dips or candles and one remembers great-grandmother Keyser [Sarah Elizabeth [Domer] Keyser (1806-1891)] smoking and listening to her daughter, grandmother Lydia, smoking and reading the old German Bible by the light of one of those old-fashioned home-made tallow dips. Grandmother Keyser was stone blind. What a luxury it was when grandmother Lydia had her first iron stove in 1861, this stove being literally dragged over the primitive roads from Mishawaka. 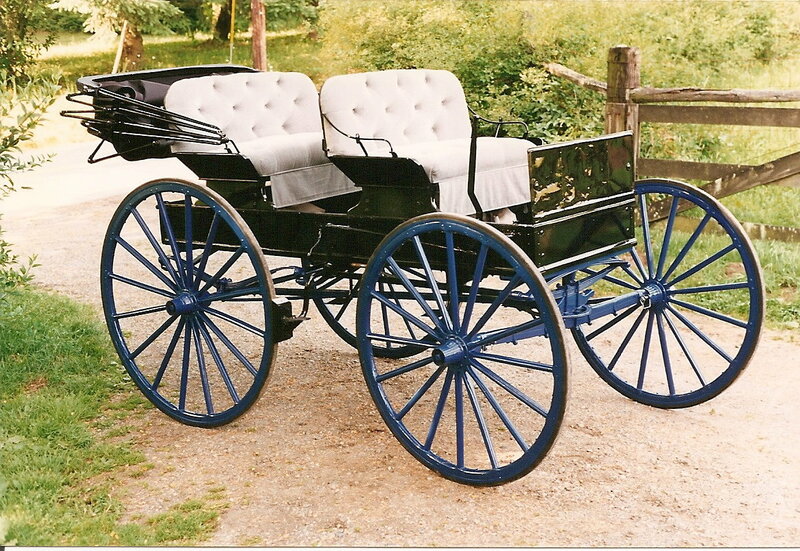 One remembers stories of their first wagons with spring seats to add a bit to one’s comfort while traveling. One also hears stories of the old Democrat or hickory wagons which were considered the acme of comfort and ease when traveling over roads that still had plenty of stumps in the middle and perhaps where there were not swamps there were plenty of large boulders … with quicksands and quagmires interspersed, which were covered with water and waiting the unwary traveler. The world has marched since the settling of this tribe of Huffs in America and since they began taking a part in the past hundred years. Perhaps none has ever reached that in definable and intangible thing called “fame,” yet all have been progressive and substantial and each has had an individual part to play. Today, descendants of John and Catherine Huff who may reside around Bremen include members of the Huff, Balsley, Fries, Hartman, Jacoby, Gorrell, Eslinger, and Neher families. Thank you for posting. I am searching for a record or source of the passenger list for Thomas Dickason you mention in your post. My ancestors apparently came on this same voyage, Schumacher and Dieffenbach also setting in Tuscarawas, OH. I would like to document this but I need to find the source of the passenger list. I am also interested in how you learned of the history and type of ship that they came on. Thanks again. Adam Diefenbach and his family are on that same page. Unfortunately, I didn’t save the rest. I believe I got that passenger list on Ancestry.com, which I don’t subscribe to anymore. I was able to find it on Ancestry.com. There were several parcels of land acquired when the Huff family started to settle in the area. I believe the Huff Hill property was purchased for a son. There were 2 other pieces south and East of Bremen where John Philip had also purchased land. One piece was officially on the other side of the county line into Kosciusko. I believe the original homestead home though was across from the police post just up the road from the cemetery. My mom always said that the original cabin was in the proximity of the bypass Near Miami rd. As a child she would like to go out in the field and poke around finding treasures like broken dishes and such. I know that land was also purchased in the north part of Bremen. Much of these properties were developed by John Phillip’s sons. Very interesting! The 1881 atlas shows “P Huff Estate” owning several parcels of land northeast of town amounting to a few hundred acres. And “W J Huff” owned the Huff’s Hill land at that time. I’m generally available to meet with folks at the history center on the weekends and evenings. I’d very much like to get with you. I’m in touch with Evelyn [Huff] Koontz lately, daughter of Dale Huff, and got some new Huff photos to post. Derek, than you for your response. It’s amazing to see the photo of the Huff 1915 (or was it 1913?) family reunion on this website! I have a copy of that same photo in a book entitled “The Family of John Philip Huff and the Family of Francis Huff” compiled in 1963 by Ernest O. Annis, Bremen Historian. I’m working on our family tree and really appreciate the work you’re doing to preserve Bremen’s history. As I said before, my father was Stanley Huff, Otho Huff’s son, Clayton Huff’s son, John Huff’s son, Francis Huff Jr.’s son., Francis Huff’s son. My grandmother, Gertrude Nufer Huff, married Otho Huff. According to the book, my great grandmother, Elizabeth Garver Huff, married Clayton; Christina Gass Huff married John; and Margaret Goss married Francis Huff, Jr.
We’d love to meet you and learn more about the Huff family and our relatives in Bremen. Are you available to meet with us in Bremen the morning of Saturday, February 10? If so, what time is good for you and where should we meet? After we meet, we plan to have lunch at Hoople’s so you’re welcome to join us for lunch as well. My email is shuffsmith@sbcglobal.net. Feel free to call me as well at 203-249-6899. Thank you! We look forward to meeting you and visiting Bremen again.